Back in 1980 I had been a fan of the Marvel comic Thor for twelve years, and of Richard Wagner's Der Ring Des Nibelungen for two years. 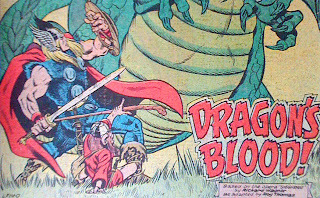 Thus I was well-placed to appreciate the storyline that began in issue 294 of Thor (cover-dated April 1980), which bears a more-than-passing resemblance to Wagner's magnum opus (a fact heralded in the Bullpen Bulletins for that month: "Thor #294: Beginning this issue - the Quest for the Ring of the Nibelung!"). The story in question, written by Roy Thomas and illustrated by Keith Pollard and Chic Stone, is called 'New Asgards for Old', and is based on the intriguing notion that Ragnarok (the Twilight of the Gods of Norse mythology) is cyclic, occurring at the end of each astrological age of approximately 2150 years. The previous Ragnarok-cycle was the one relating to the traditional Norse gods (the Aesir) that feature in the Icelandic Eddas and in Wagner's Ring. The present cycle is the one relating to the Marvel Comics characters (Asgardians) with the same names as the old Norse gods. 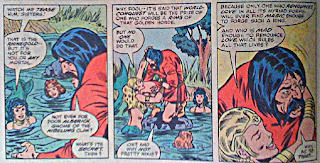 The "Wagnerian" storyline actually starts on page 20 of issue 294 (see detail at left), when the dwarf Alberich steals the Rhinegold from the three Rhinemaidens. 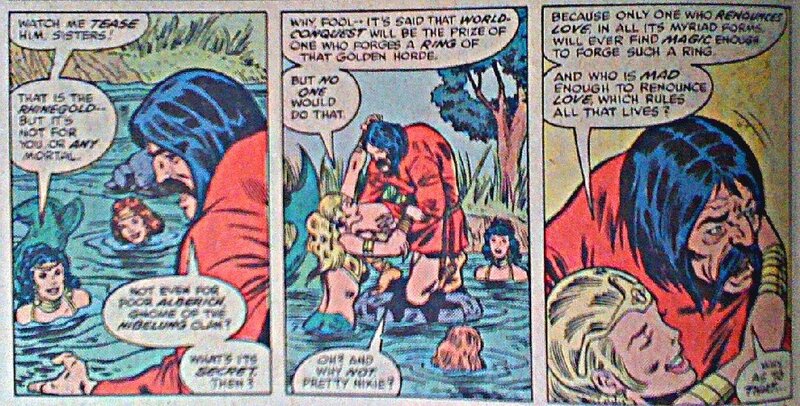 Now, you might think that this isn’t specifically Wagnerian at all... that it's just a case of Roy Thomas drawing on the same Eddaic material as Wagner. But the Rhinegold (and Alberich's theft of it from the Rhinemaidens) isn't in the Eddas -- it was invented by Wagner as a McGuffin to hold his opera cycle together! The fact was that Roy Thomas liked the story of The Ring and wanted to do a comic adaptation of it. Eventually, in 1989, he did produce a "proper" graphic novel of it: The Ring of the Nibelung , illustrated by Gil Kane. But back in 1980, graphic novels hadn't been invented, and the pages of Thor were the next best thing! Issue 295 ('The Price and the Pride') presents the remainder of Das Rheingold, ending with the creation of the Rainbow Bridge by the god Donner (the German rendering of "Thor")... who looks almost exactly like our Thor! Issue 296 ('From Valhalla a Valkyrie') corresponds to the first two acts of Die Walküre, with the character Siegmund looking suspiciously like Thor (and the valkyrie Brünnhilde looking exactly like the comic-book character Valkyrie!). Issue 297 ('The Sword of Siegfried') presents the last act of Die Walküre and the first act of Siegfried (and now Siegfried is the one who looks like Thor!). 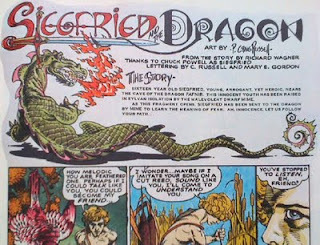 Issue 298 ('Dragon's Blood'), depicting the second and third acts of Siegfried, is the first instalment to give Wagner a name-check in the credits: "Based on the opera Siegfried by Richard Wagner". Issue 299 ('Passions and Potions') bears the credit "Based on the opera Götterdämmerung by Richard Wagner"... and it does indeed cram in more than two-thirds of that gigantic opera! 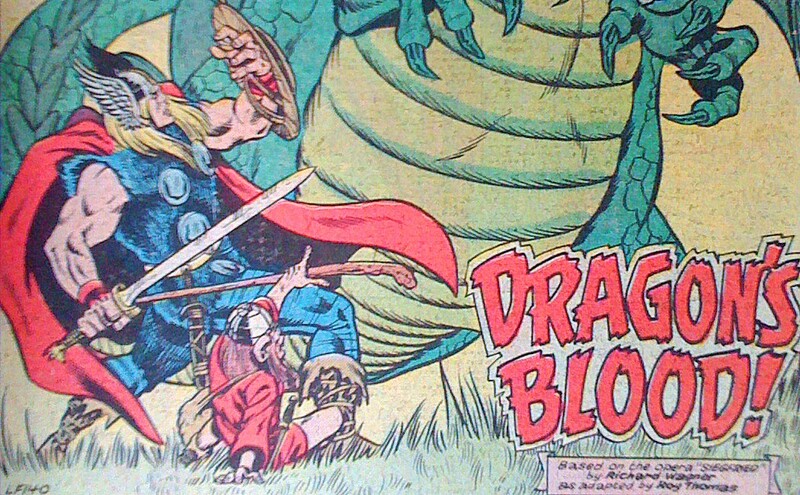 Strange as it may seem, these issues of Thor weren't Wagner's only comic book appearance in 1980. 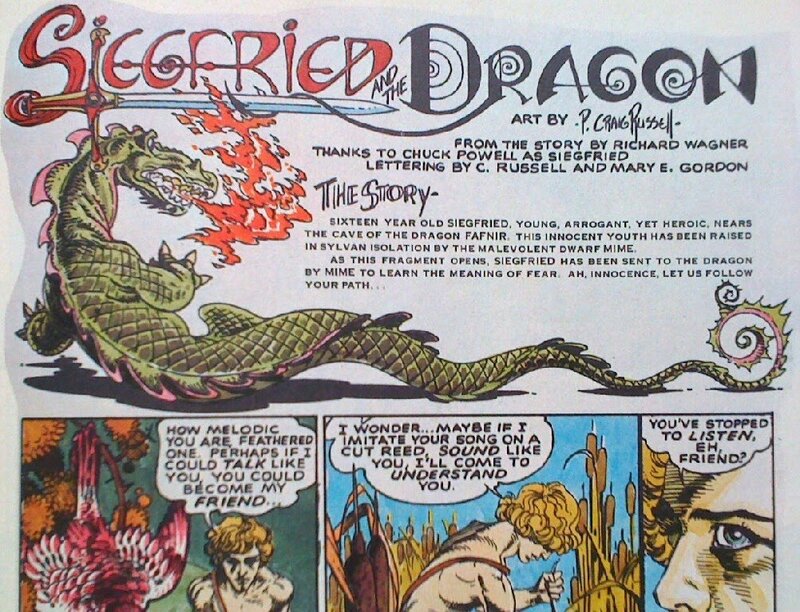 The Summer 1980 issue of the Marvel magazine Epic (aimed at "Mature Readers") contains an eight page story by P. Craig Russell entitled 'Siegfried and the Dragon', which is credited as coming "from the story by Richard Wagner". As so often with comics aimed at an adult audience, this story is (in my humble opinion) considerably limper than the one meant for younger readers. You can compare the Epic version (upper) and the Thor version (lower) in the following details from their respective splash pages. Somehow I feel Wagner would prefer the latter! Excellent. Loved it and thanks for posting. I have linked to, and commented on, this. Hope this is ok? Thanks very much for your interest and the link. Happy to give you a return link here: The Wagnerian! Thank you. I really enjoyed it and thought others would be interested. I think the Parsifal and Pelléas & Mélisande graphic novels you're thinking of were by P. Craig Russell, who according to his Wikipedia article did a lot of opera adaptations. Talking about Parsifal, I did a talk at a Science Fiction Worldcon several years ago called "Parsifal as Proto-SF" that you may be interested in. I'll drop you a line if I do any more Wagnerian articles! Russell, that's the chap. Thanks Andrew. Parsifal as Proto-SF" is wonderful, reading it now. I will cite it if you don't mind. And yes, I would appreciate it if you you would let me know if you do. Wonderful paper. You are aware of course of the claims made by Grant Morrison and indeed, some of the cast, that the Wachowski brothers were also heavily influenced by Morrison's Invisibles - Morrison's most esoteric writing? Morrison in turn was influenced by Crowley, who was somewhat obsessed with Wagner's Parsifal - adding it to his "recommended reading" list. Like Wagner, Morrison felt that the Invisbles might have a trans-formative effect on humanity and the journey undertaken by (I think his name is) Jack Frost - is similar in many respects to that of Parsifal. There are even direct links in the artwork, and covers to the Grail Myth. As you can see I am something of a "collector" of Wagner miscellanea. 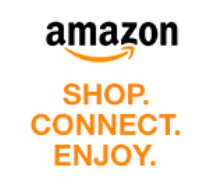 Thanks for the nice feedback and the information. I wasn't aware of either the Morrison or Crowley links - I will have to look into them!